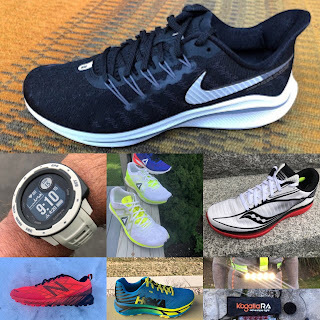 Editor's Note: Fellow blogger and shoe expert Derek Li recently ran a magnificent 2:44.10 at the recent Tokyo Marathon and was kind enough to share with us some of the amazing Japan edition running shoes he spotted in Tokyo. I did the Tokyo Marathon for the first time this year, after two failed ballot attempts and I finally got to see many of the fabled racers that are sold only in the Japanese market up close. I also spotted a Freaks Japan, which is a stability version of the Skysensor Japan, with a bit more stack, and denser Duomax on the medial side heel/arch to mate with SpEVA in the rest of the midsole. The main difference between the Japan and China model is the use of a thin layer of U4ic midsole in the latter (black colour in the red shoe, and light blue in the yellow shoe). The white midsole in the pictures is actually a firmer compound, which is, I believe, what the Japanese prefer as far as feel goes. (You wouldn’t believe how many people I saw wearing the Mizuno Wave Cruise at the Tokyo Marathon) I tend to prefer softer shoes so I went with the non-Japan version. I got the “wide” version, as the standard width was out of stock in my size. By the way, The Wave Emperor does NOT have a wave plate, so you are looking for a Hitogami without a wave plate, this is the shoe for you. It comes in just under 200g in a US9.5, so slightly lighter than a Nike Lunartempo in equivalent size. For those who don’t know, lots of Japanese shoes including mass-market models like the Adios Boost (called Japan Boost in the local market) come in a “wide” version. This is NOT 2E width per se, but has a 2E-esque forefoot and a D width midfoot and heel. Next up is the Nike Zoom Speed Rival. This is an uptempo shoe, with a cushlon midsole, and I believe a zoom air unit in the heel. The Rival is now up to version 5 (if you refer to Nike’s Japan website), but I only managed to glimpse version 4 in the store. As you can see, the mesh is very well ventilated. This is a popular model with a lot of runners because it is always ~$70+ retail. I still have lots of life left in my Rival 3, so I didn’t get any more Rivals. Here’s the latest Nike Lunarspider R6 which was released in the Japanese market sometime towards the end of last year. This year’s mesh moves a bit closer towards the flyknit end of the spectrum (non-elastic version) and actually makes the toebox a little roomier than prior iterations. The midsole is a dual density foam, with Lunarlon in the forefoot, and (I believe) Cushlon in the rear. The outsole is pared down considerably for optimum speed as you can see. The R6 comes in at 186g in US9.5 which is the same as a Lunaracer+ 3 in US10 (equivalent size). I was hoping to get a look at the new racing apparel from ASICS but unfortunately, the stores are still in Winter mode and I hardly saw any singlets. In case you didn’t know, the new SS16 Adidas Adizero clothes hit stores a couple of weeks back, and the new fabrics are fantastic. The theme this year is abstract prints, and the base colours are black/blue and white. I shan’t bore you with pictures of those as they are available on the Adidas websites. Here’s what I never saw anywhere else. A white/lime green version of the Adidas Adizero run shirt. Sadly not available as a singlet (or maybe it was sold out). That’s about it for my review. I did see some new colour schemes (blue base and black base) for the new Adios Boost 3, but I didn’t take any pics. If you haven’t been to Japan before, I’d highly recommend going to a city when a big marathon is in town. There are lots of racers you would never find anywhere else. Derek at 38K 2016 Tokyo Marathon. Derek Li is a family physician by profession, and has been running marathons for the past three years. He started running for triathlon training in 2003, and now focuses purely on running in a bid to run all the Marathon Majors. 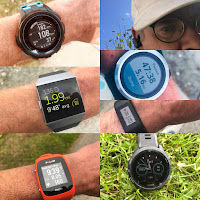 In his free time, he likes to review running shoes and related products at his blog Running Commentary. Derek, did you find the Japanese training in racing flats as well? Seems like even recreational runners there love the minimal models. Review New Balance RC 1400 v4: V 4 Victory!